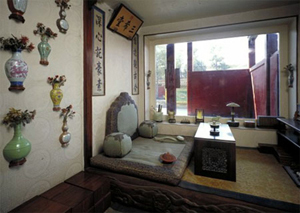 The Three Treasures Hall was a private study of the Qianlong Emperor (reigned 1735–1796). 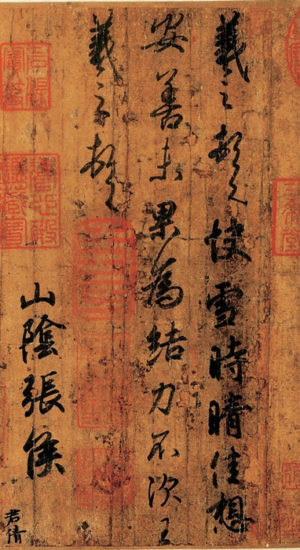 It was named after his favorite three pieces of calligraphy, “Timely Clearing after Snowfall” by Wang Xizhi, “Mid-Autumn” by Wang Xianzhi, and “A Letter to Boyuan” by Wang Xun. 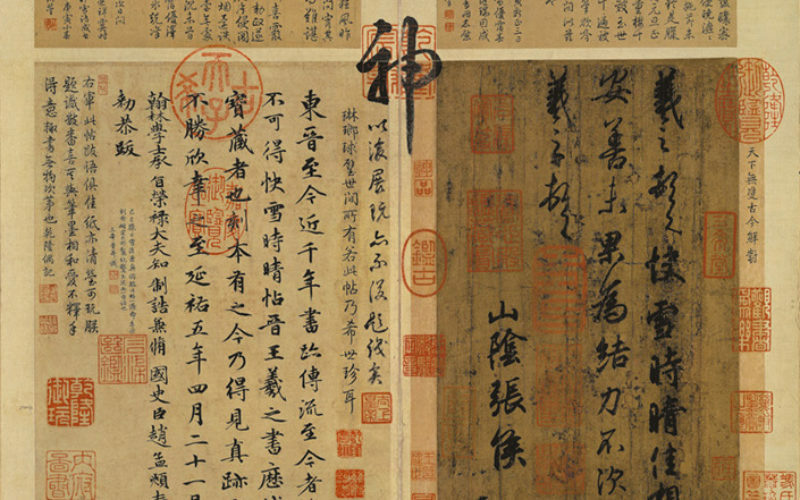 “Timely Clearing after Snowfall” was taken to Taiwan when the Nationalist Party lost the civil war in 1949, and is now in the collection of the National Palace Museum in Taipei. The other two masterpieces were smuggled out of the imperial palace in the late Qing dynasty, but were re-acquired by the Palace Museum in Beijing in 1950. 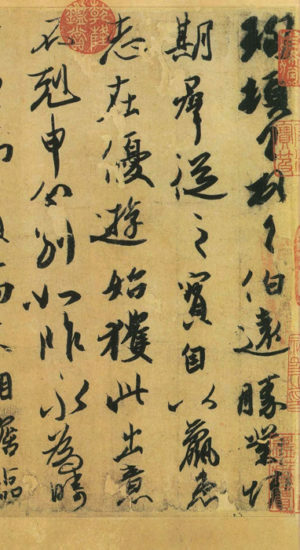 In this short letter written in running script, Wang Xizhi sends greetings to a friend after a snowfall. The Ming dynasty connoisseur Zhan Jingfeng (詹景鳳, 1520–1602) pointed out that the round, forceful, elegant nature of the brushwork here has a leisurely spirit that influenced the running script of Zhao Mengfu (趙孟頫, 1254–1322), an influential calligrapher and painter of the Yuan dynasty. Much of the brushwork appears round and blunt, the dots and hooked strokes not revealing the tip of the brush. The characters are even and balanced, revealing a straightforward elegance and introverted harmony. 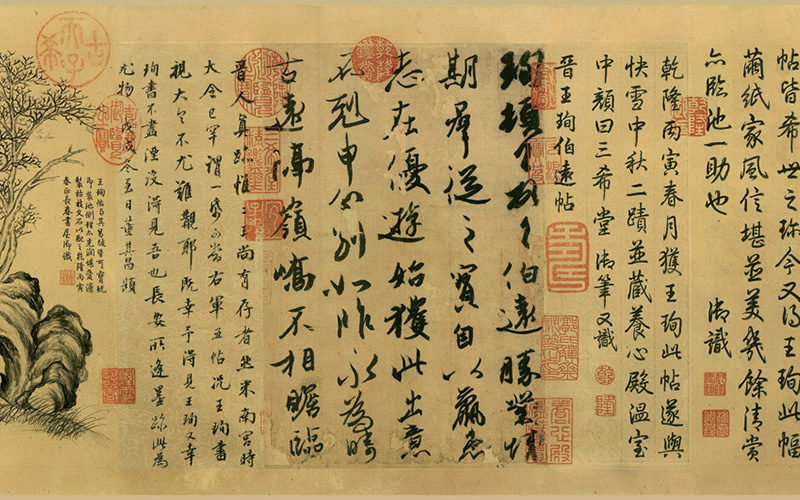 The Qianlong Emperor (r. 1735–1796) in the Qing dynasty especially prized this work, praising it as “The one and only; a masterpiece for all time (天下無雙，古今鮮對).” This work is generally considered to be an excellent copy made in the Tang dynasty. 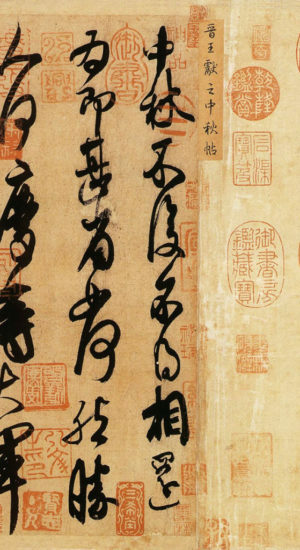 None of Wang Xizhi’s original handwriting has survived. 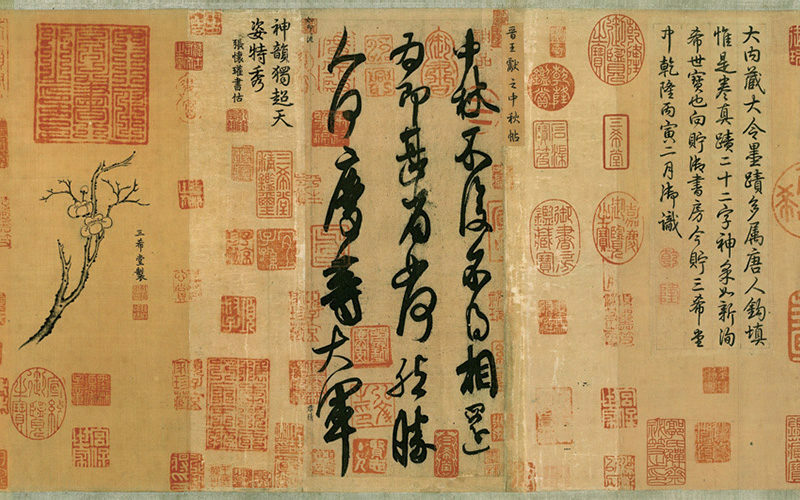 This piece of calligraphy is generally considered to be an excellent copy made by the Song dynasty calligrapher Mi Fu (米芾, 1051–1107).